It is probably safe to say that everyone reading this knows of the famous preacher on Boston Common of the 1950’s, Father Leonard Feeney, and of the religious brothers who accompanied him there each Sunday. Father preached the unvarnished truth of the Catholic Faith and was eventually silenced and banished by the powers that be of the Archdiocese of Boston for that courageous act. A generation earlier, another Catholic “street preacher” did the same on the streets of Boston with the whole-hearted stamp of approval of Cardinal O’Connell, the reigning Archbishop of the city at the time. In fact, there were two of these “street preachers” back then, each from radically different backgrounds, who first preached Socialism and Marxism on those same Boston streets before they found the light of the True Faith. No two Americans could have been more different than David Goldstein and Martha Moore Avery. Goldstein was born in London in 1870 of Dutch Jewish parents who immigrated to America the next year, eventually settling in Boston . They remained poor all of their lives, living on the meager earnings of his father, a cigar maker. Although they considered themselves Orthodox Jews, they, like many of their fellow immigrants, attended services only on the High Holy Days. Martha Moore Avery, on the other hand, was a New Englander through and through. She hailed from Maine; her family was well-to-do and professed Unitarianism – about as far as any self-described Christian can get from Catholicism. Martha and her husband sent their daughter, born in 1851, to a Catholic boarding school run by Canadian nuns. The daughter eventually converted and became a nun herself. Sometime after the death of her husband and the conversion of her daughter, Martha herself converted to Catholicism, but not before she spent many years stumping for the joys of a socialist society in the company of David Goldstein. Although he was a committed socialist, Goldstein was a firm believer in the unity of the family. He began to see that the goal of socialism was to weaken the family structure through its emphasis on the individual and his duty to the state. One of his colleagues in the socialist circles of Boston was one Reverend George D. Herron, a self-styled “Christian socialist.” Goldstein was shocked and dismayed when the preacher left his wife and family for another woman and began preaching free love. The two future Catholic evangelists vehemently objected to the approval given Herron’s teaching by the rank and file of Boston’s socialists. When they proposed a repudiation of any socialists who attacked religion and advocated violence or free love, they were ridiculed and berated by the membership. At that same time, Goldstein read Marx’s critique of marriage and family, which belittled the importance of the family structure. After a three-year struggle, the pair and their few allies resigned from the socialist movement. In response to Marx’s book, Goldstein wrote his first book, A Nation of Fatherless Children, in 1903. The book became a sensation when it was praised by Theodore Roosevelt. It was not long after this that Mrs. Avery, due to the gentle influence of her daughter, embraced Catholicism; and it was she who brought Goldstein into the Church. They became members of Father Dietz’s Militia of Christ. Goldstein quickly became a popular speaker, lecturing all over the United States on behalf of the work of the Militia. With the goal of reaching as many Americans as possible, Goldstein and Avery organized the Catholic Truth Guild, based on similar organizations in England and Ireland. They later renamed it Catholic Campaigners for Christ and they had the full approbation and consent of Cardinal O’Connell. They spoke on street corners in the busy areas of Boston, always attracting large crowds. According to David Goldstein, their listeners were of four groups: Catholics, Protestants, Jews, and atheists. In his book Campaigning for Christ, he describes the three latter groups: “Taken together, these atheists, Jews, and Protestants hold in mind a very greatly distended caricature of the Catholic Church, and their emotions are held well in hand when as lovers of fair play – as good Americans – they go so far as to listen to ‘Romanists’ of whom they know nothing and fear everything. So, the first thing requisite is sympathy, that is to say, charity.” He goes on to explain that if the campaigner for Christ is not patient and kind in listening to the objections and questions of his audience, he has already lost them. It seems that the Boston audiences of the early twentieth century were more polite and considerate that those of a later era. It took some time before the two new evangelists would be ready for their mission. Several years went by after their conversions, years in which they learned more about their new-found Faith. 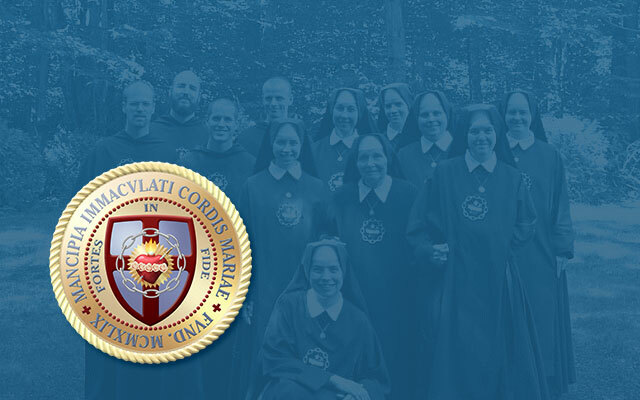 They worked with Catholic organizations within the Boston Archdiocese, Goldstein lecturing on behalf of the Knights of Columbus, and both of them putting their time and talents at the disposal of the Cardinal. Upon leaving socialism, they were subjected to much abuse from their former colleagues who delighted in attempting to discredit their reputations. By 1914, the Great War was upon the horizon; the worldwide peace that seemed to permeate every corner of the globe was crumbling and Europe was again at war with itself. It was at this time that Goldstein and Avery approached Cardinal O’Connell about introducing a radical change into their ministry. They wanted to have a vehicle especially built for their missionary work. It would be a large car/van with a roof that could be raised to become a platform from which they could preach to crowds. (Remember, this was before any kind of electronic amplification was available.) The Cardinal was very enthusiastic about the proposal, calling it a “thoroughly American” idea. The pair took themselves to a Ford dealer in Boston and described their idea. The end product was beyond their expectations! It was a large heavy car painted in Papal colors with a moving roof that would serve as a platform from which to preach. On each side panel a motto was painted in large red letters. One side had a verse from Cardinal O’Connell’s own hymn to the Holy Name: “Fierce is the Fight, for God and the Right, Sweet Name of Jesus, In Thee is our Might.” The other panel carried a quote from George Washington’s farewell address: “Reason and experience forbid us to believe that national morality can prevail where religious principles are excluded.” They loved it, and – more importantly – so did the Cardinal. There was room for the driver and a passenger on the front seat; the roomy back could hold their many books and pamphlets which they distributed after each lecture. So successful was the Boston adventure, the enthusiastic evangelizers set out to other towns in eastern Massachusetts, most of which were New England Protestant through and through. They went to such interesting and diverse places as Marblehead , that beautiful seacoast town where the infamous Guy Fawkes’ Day was still celebrated, and (according to Goldstein) “hardly anybody goes to church, save only the Catholics at the upper end of the old town.” Salem, the site of the famed witch trials of colonial times, and with a long history of anti-Catholicism, saw 1500 spectators at their presentation, all polite and receptive. At Provincetown, the end of the hook of Cape Cod, they were preceded by the last of the New England town criers, George Washington Ready, ringing his bell and shouting his “Hear, ye, hear, ye” calling the townspeople to the square. Because there was a large Portuguese community there, many friendly faces greeted them, and the missionaries were pleased to present their Catholic truths in the beautiful, clean and salty Atlantic Ocean air. Other stops on the tour were Plymouth and Concord , staunch old Revolutionary towns where they spoke in the town squares with the Congregational Churches as their backdrop. Back in Boston , they became so well known that the auto/van was dubbed “ Rome ’s chariot.” Now they felt as though they were really making inroads in bringing the Faith to their fellow New Englanders. Buoyed as they were by their success in New England , the missionaries next endeavored to take their message to the Pacific Coast. As the New England winter was about to close in on them, the auto/van was put on a train headed for San Francisco. Its drivers boarded the same train. As Goldstein put it, “The winter was coming on in New England, while in California the sun was shining.” Archbishop Hanna of the Golden Gate City welcomed them enthusiastically and they drew huge crowds at their rally in the Civic Center. From San Francisco , they drove north to Chico, then down the Camino Real all the way to San Diego, speaking in many locations as they traveled. From California, they drove into Arizona, New Mexico, Colorado, then across the Midwest, stopping in many places, drawing large crowds and making converts. In every place, they had the support and official welcome of the local ordinary. In their eight months on the road, the two gentlemen missionaries (Goldstein and his assistant Mr. Corbett) put more than 13,000 miles on the auto/van. They were welcomed back in Boston by Mrs. Avery and Cardinal O’Connor. During the 1918 season, they campaigned for Christ all over the east coast, down to Washington, D.C. and up into eastern Canada. To understand the tenor of the times, the large eastern newspapers, the Washington Post, the New York Times and Herald, all carried favorable articles and photographs of the campaigners. One wonders what kind of reception such an undertaking would elicit in these days of unbelief. It is amazing that the Campaigners encountered few problems in their travels. For the most part, their audiences were polite listeners. There was always a question session after the presentation, and, most of the time, the questions displayed the listeners’ complete ignorance of Catholic teaching. Often Protestant ministers offered some objection, and when they did, they were given the podium to make their case before the audience. Goldstein and Corbett always refuted their claims, but with charity and politeness, thereby giving the audience an opportunity both to learn and to observe Catholic charity in action. On a few occasions, parish priests were reluctant to host them, fearing that there may be reprisals to their church property afterward. That never did happen. Some Catholics felt that “street preaching” was below the dignity of the Faith; however, these were few. Although they could never know how many Americans were brought into the Faith by their efforts (God is the keeper of that secret) Goldstein, Avery, and Corbett knew that many fallen-away Catholics returned to the Church and many inquiries were made by listeners as to how to seek further information about the Church. Mrs. Avery died in 1929. She was almost twenty years older than David Goldstein. Although she never went on the road trips – it would have been unseemly for an unmarried couple to travel together – she was an active lecturer on the street corners of Boston. One of her favorite themes was relating the American form of government to Catholicism. She was convinced that this country would be better off Catholic. It is known by many of the people associated with Saint Benedict Center in the early days (although few are left) that David Goldstein visited the Center at its original location in Cambridge at the corner of Bow and Arrow Streets. Both Father Feeney and Brother Francis met with him on a few occasions, though he was never a regular. He would have been fairly old at the time, having been born in 1870. Mr. Goldstein, after a long, active and interesting life, died in 1958. It seems that he never married. However, the legacy he gave his country and his Church is one of dedication, good will toward his fellow men, and a desire that all Americans accept the Catholic Truth.